Gaffa Tape Sandy unveil exciting new single "Headlights"
Bury St Edmunds based rockers Gaffa Tape Sandy have announced their signing to the highly acclaimed indie label Alcopop! 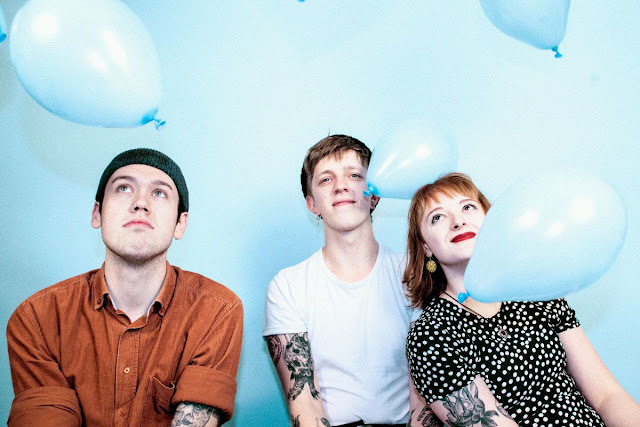 Records and have also today shared their latest single "Headlights", of which is the first track taken from the band’s forthcoming EP which comes this summer. The EP is going to be one high on our waiting list, can't wait to hear from this noisy trio. "We wrote Headlights as an open embrace to anyone who finds it hard to talk about their mental health, and to serve as a reminder to check up on your loved ones in this busy stupid world", the band stated. "We wanted the back-and-forth vocal play to feel and sound like a conversation, a playful way of communicating a message that we believe in. It’s important to be lovely to one another, and the people who have been lovely to us are the people who inspired this song".